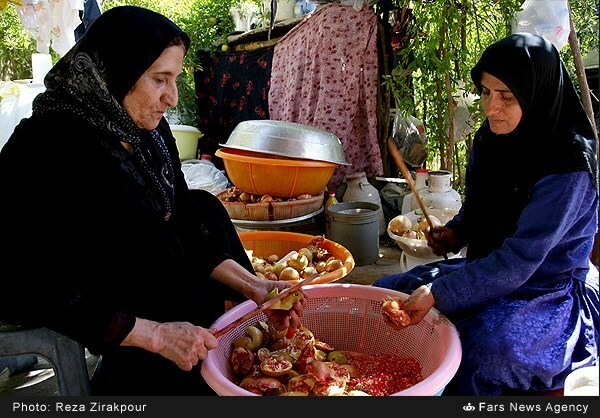 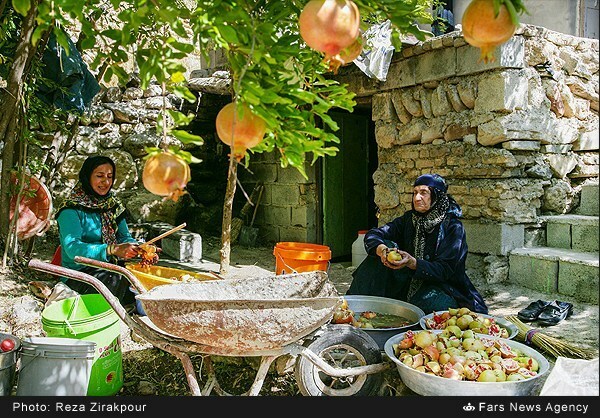 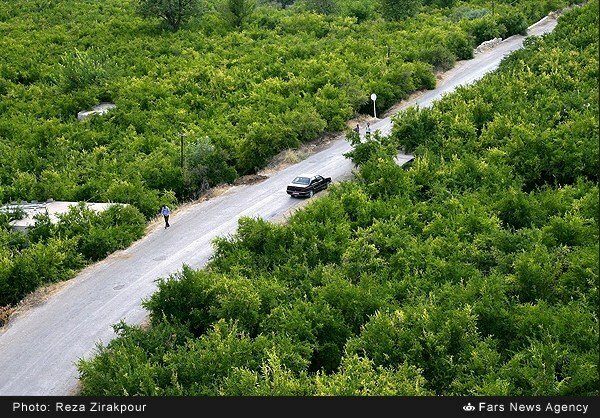 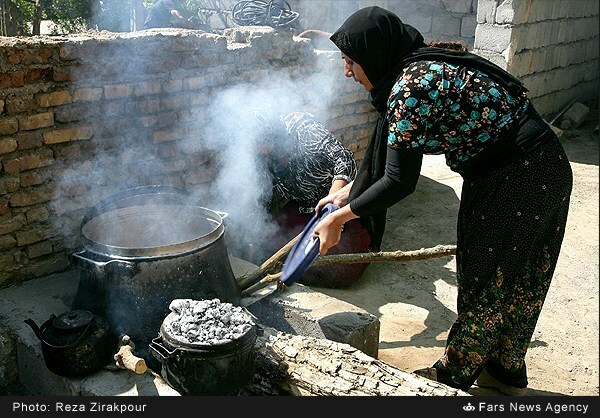 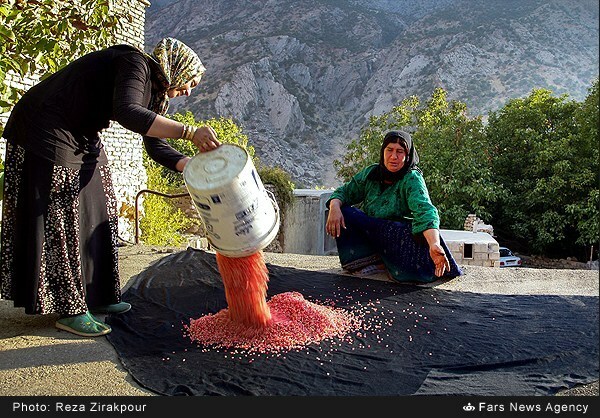 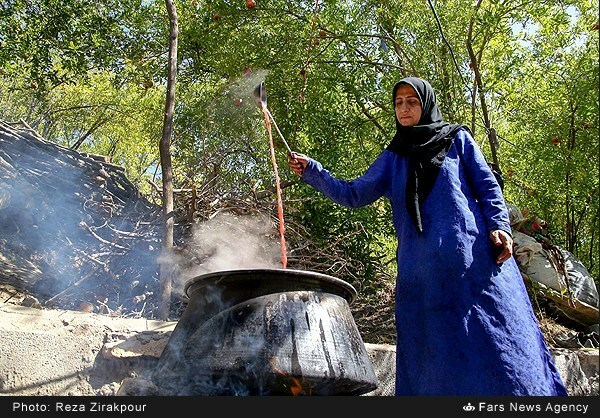 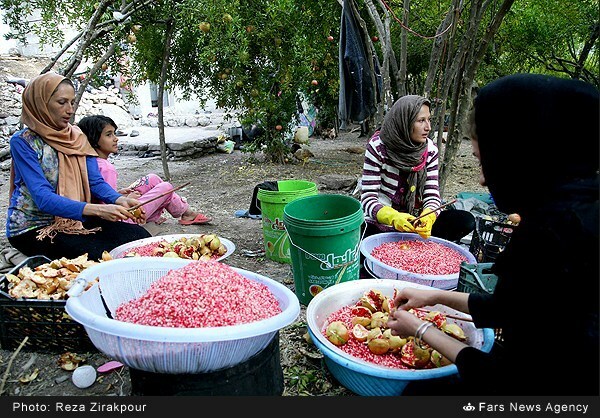 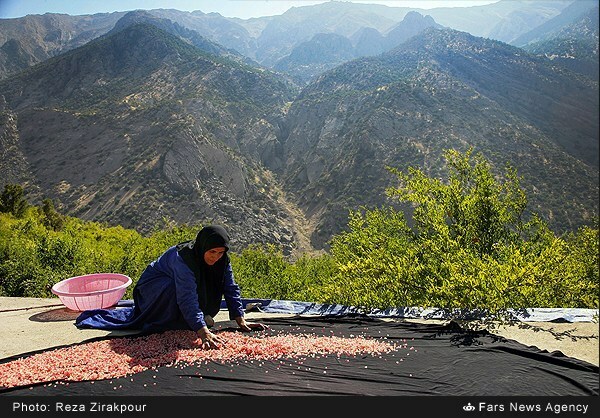 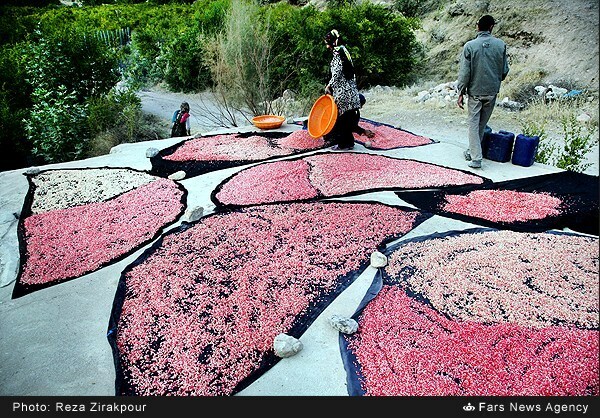 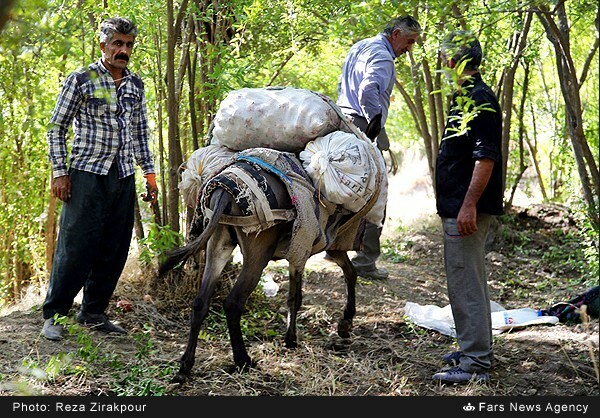 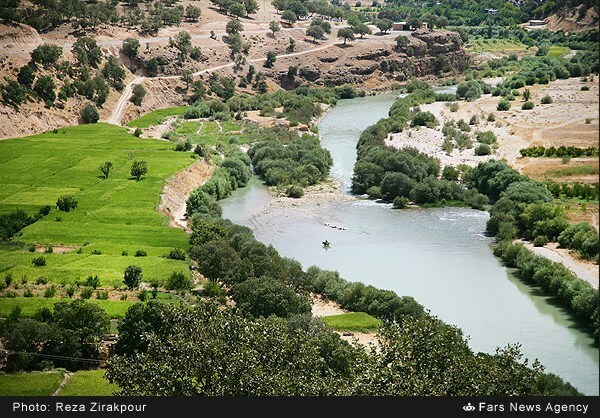 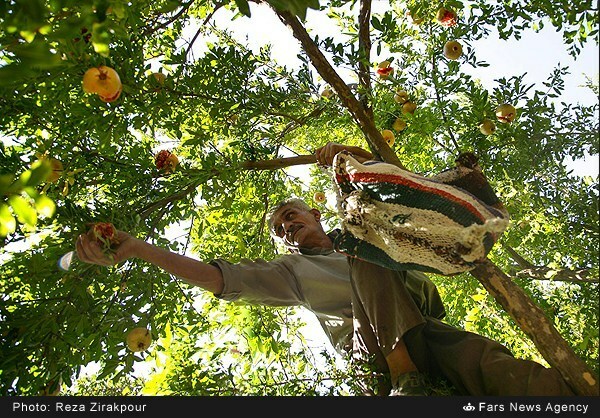 Fars News has published photos of the farmers in a village in Western Iran who have started harvesting pomegranate. 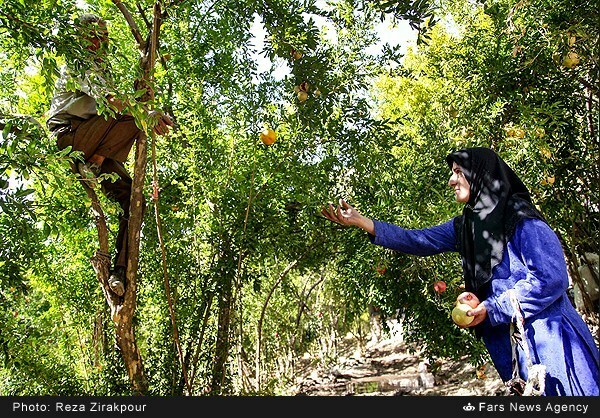 Iranian farmers in the village of Durak Anari, 150km away from the city of Shahr-e Kord in Western Iran, have started harvesting pomegranate. 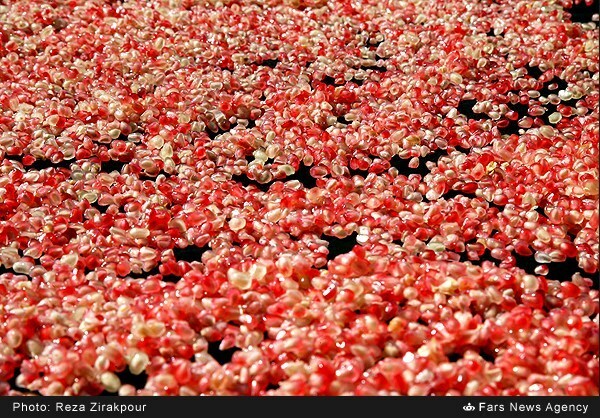 The village is known as the ‘Village of Red Rubies’ because of its pomegranate gardens. 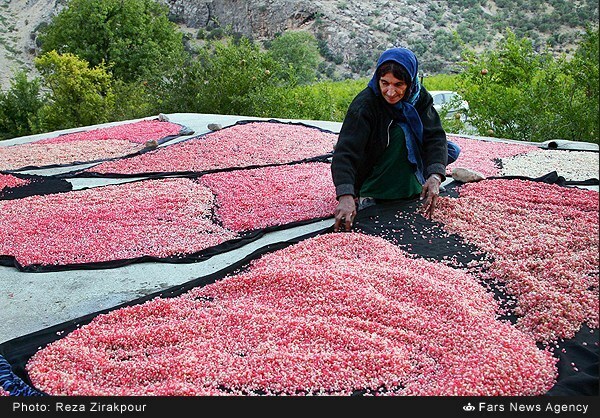 Family members dry the pomegranate seeds in a traditional ceremony over the rooftops. 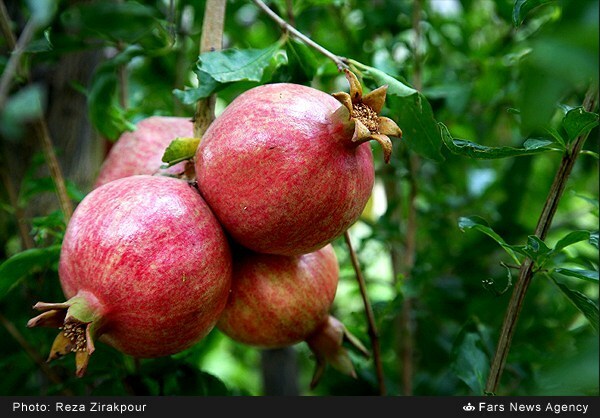 They also prepare five types of pomegranate pastes in this season.